Young boys who are allowed to dress up as female characters could become better readers, it has been claimed. 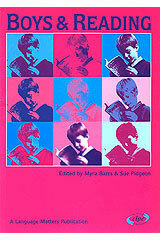 The assertion is made in “Boys and Reading,” a report published by the Centre for Language in Primary Education. The report’s joint author, Sue Pidgeon, suggests that boys are poorer readers than girls because their experiences are more limited. While girls are allowed to dress up as male and female characters, boys are discouraged from taking on female roles. So says a May 7, 1999 BBC report. Posted by Alice Shirrell Kaswell on Sunday, December 31st, 2006 at 12:01 am under Arts and Science, Research News.